Editor’s note: With so many posts published every day, it’s much more difficult to break through the content noise. Not to mention, these posts talk about the same things authors have already touched upon in their previous posts. At this point, you’re just filling up the online space with the same old content your readers have already read and seen. To make a better impression to your audience, you need to create videos instead of posts. It’s arguably much more complicated to create videos than written content. But people respond more positively to videos because of their more visual approach to conveying a message. Also, video creation is not a saturated market…yet. Your competitors are still stuck writing content on their blog. You can do the same and vie for the attention of your audience. Or you can cut a video instead and monopolize all the views from your audience. Which do you think sounds much better? To help me make an argument for video content, PJ Taei of UScreen shares the compelling and logical reasons bloggers like yourself must dabble in video content creation. In particular, you need to learn how to create an online course to help communicate the message to your audience much more effectively. As a popular and respected blogger and voice in your particular field, by now you’ve no doubt at least considered branching out into video content. Maybe you’ve even thought about creating an online course – sort of as a way to give back to the loyal army of followers you’ve already worked hard to build. In the event that you had this thought and let it slip you by, circle back around sooner rather than later. 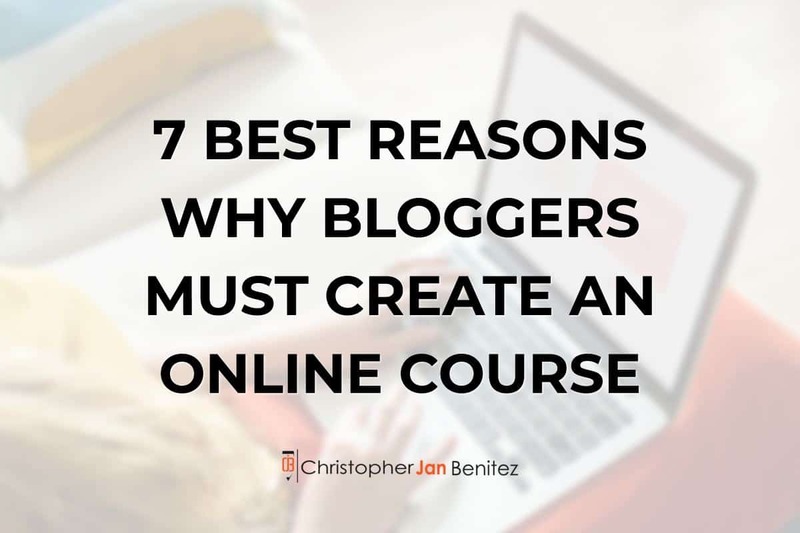 In truth, there are seven particularly good (read: important) reasons ALL bloggers should create an online course that are worth exploring. Are you ready to create an online course? 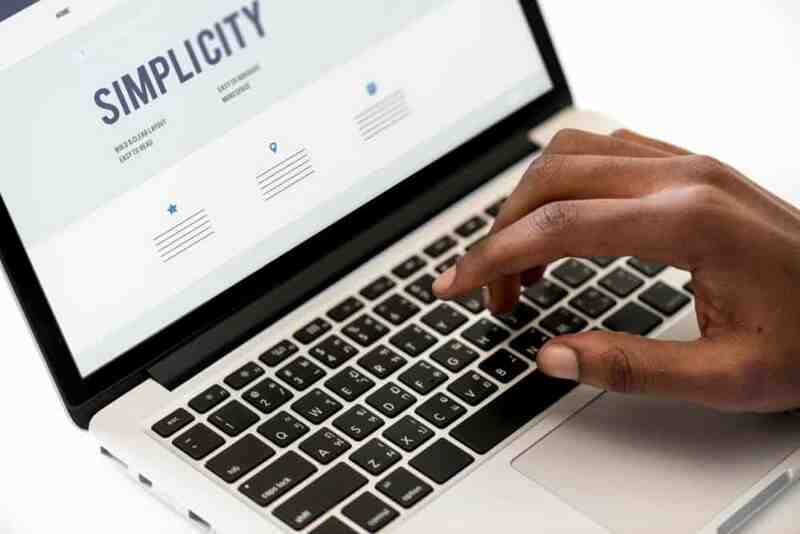 Regardless of the specific audience you’re speaking to with your blog, so much of your own success in the long-term comes down to your ability to forge a deep, intimate and valuable connection with your audience. These days, professionals and amateurs alike turn to the principles of marketing to accomplish that. But it’s also important to remember that one of the core tenants of marketing has nothing to do with “selling to your audience” in the strictest sense and has everything to do with educating them. We’ve entered an era where people just don’t like to be “sold to” any longer – whether they ever did is up for debate. Marketing isn’t about tricking someone into making a sale. It’s about educating them to the point where they arrive at the conclusion you need them to on their own. If you’re a business who wants to A) show you care, B) inform your audience as much as possible and C) provide them as much of the content they’re already asking for as you can, creating an online course is the perfect chance to accomplish all these things at the same time. By educating people about a topic they care about – whether it’s something you’re interested in yourself or whether it is products and services you offer – you’re capitalizing on an important chance to establish yourself as an authority. This strengthens the power of your own voice, which empowers your brand. Speaking of your brand, we’ve written at length in the past about how important it is to niche-ify things as much as possible. Don’t go after the widest possible audience. Instead, turn your attention towards that small but vocal group of passionate supporters. Creating an online course helps you take that to the next level. When you use a service like Uscreen to create your own branded apps to promote and distribute your online course, you’re taking your content directly to this niche audience in a way they won’t be able to ignore. You’re also cementing your own place at the same time. Remember: don’t go after a massive pie that lets you get 5% off only when there’s a smaller pie available that you can have as close to 100% of as possible. This can help play directly into your own video monetization efforts because you’re creating content that will always be able to sell because it’s a topic that people will always need more information about. Making a video about this year’s great new guitar models can be helpful – but it will also become irrelevant when next year’s models roll off the assembly line. Making a series of online course videos where you teach people how to play the guitar, however, is something that people will always need. Along the same lines, all bloggers should absolutely create an online course because it’s continuing the mission you set out to achieve in the first place: provide as much raw value to your audience as possible. Your success online depends on relationships, and relationships depend on intimacy. If you really want to create that organic, intimate connection, you need to put the best interests of your audience ahead of your own. 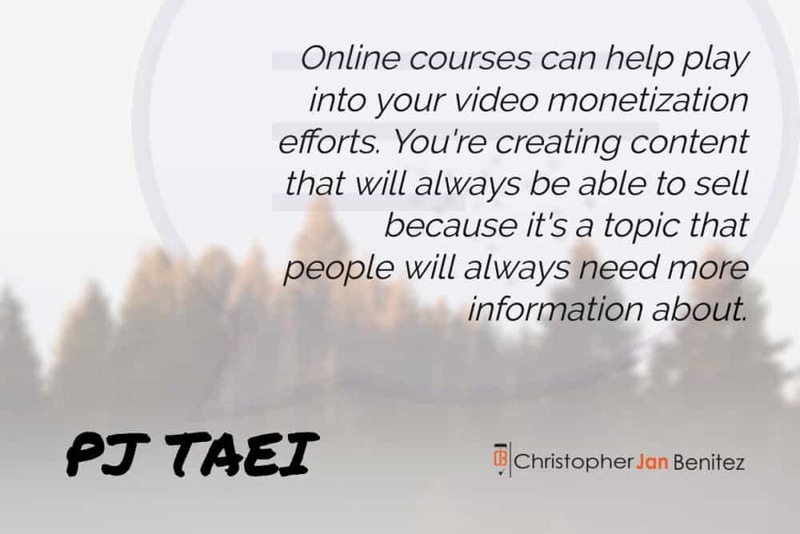 Creating an online course is the perfect opportunity to provide value (that is, educational information about a particular topic) that will strengthen this relationship in a natural and powerful way. Uscreen and other video CMS services are so easy at this point you don’t have to be a designer with years of experience under your belt to put together a professional and captivating experience. You don’t even have to think about learning to code and you don’t even have to worry about the distribution side of things. These features are baked into the DNA of these services to begin with. Another compelling reason bloggers should create a free online course (if not a paid one) has to do with diversification. Or, to put it another way, you should never ever put all of your eggs in one basket with the Internet. Yes, your blog is popular and well-read today. But what happens if blogs suddenly fall out of fashion? People would already rather watch a video about a topic than read a blog about it even if those two pieces of content contain largely the same information. What is this trend going to look like in another ten years? Diversifying into the realm of online course creation doesn’t just give you more opportunities to exploit in terms of reaching your audience. It helps make sure that your voice will continue to be a powerful and respected one, regardless of the shape the Internet takes over the next few years. Finally, one of the biggest reasons all bloggers should create an online course has to do with the fact that video isn’t just powerful – it’s only getting more powerful as time goes on. Over one third of all online activity is spent watching videos. More than half of that consumption happens on mobile devices. There will come a day in the not-too-distant future where the vast majority of all online activity is video-related. Video is a powerful trend that shows absolutely no signs of slowing down soon and getting in on that game today is the key to making sure you’re still around tomorrow. Sure, writing on your blog differs from creating an online course. You may feel you don’t have the chops to create an online course that will communicate your ideas to your audience. However, ignoring the benefits that online courses bring to the table is foolish. If you’re worried that you won’t make a killer course, there are tools that will make course creation much easier. There are also resources to help you create online training modules that will put you in the forefront of things. Adopting to the way of the video is the best thing you can do for your blogging or writing career. It’s best to get cracking on your first online course now while people are still figuring out how to create one!